Have you been asked to bring dessert to your friend's dinner party this weekend? Are you lacking the time or energy to bake? 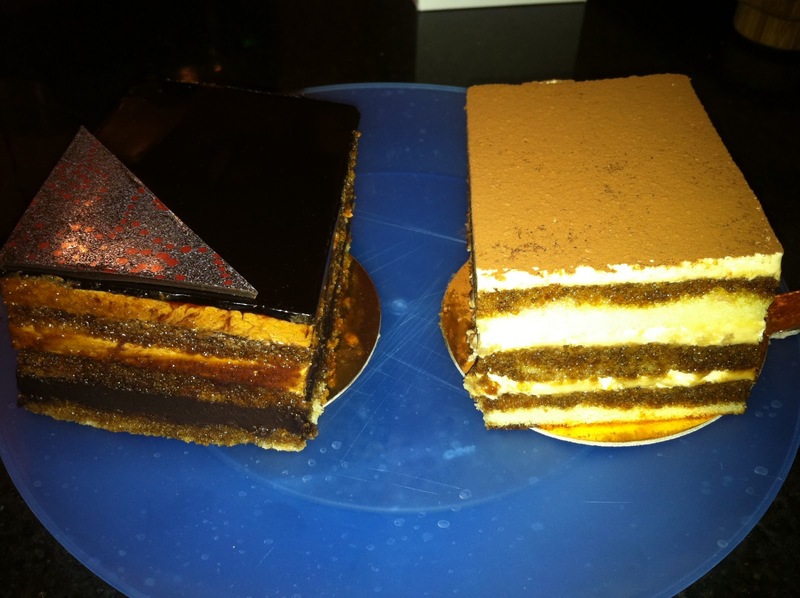 We recently asked our friends Alex and Billy to bring dessert to a dinner party. 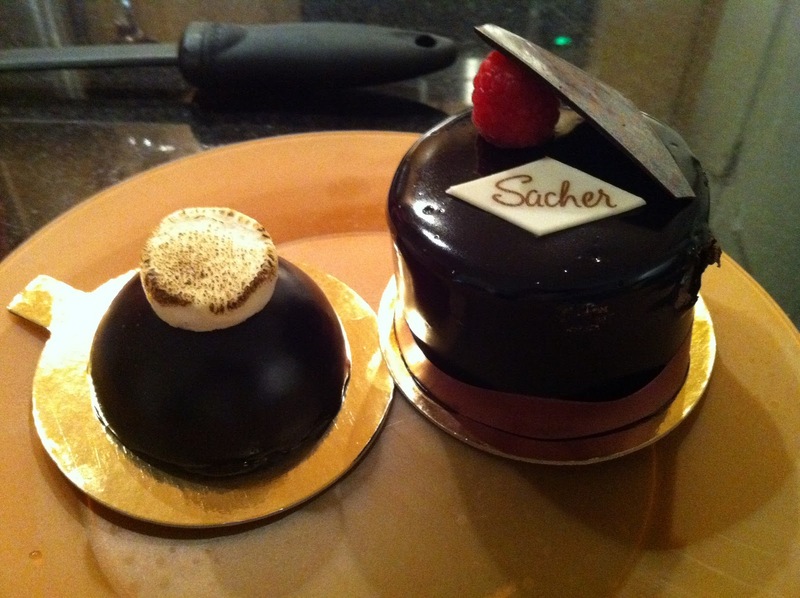 They were arrived at our apartment with boxes of desserts in hand. When we opened the boxes after dinner everything looked gorgeous, and we assumed it was from a fancy bakery in Fairfax County. We were pretty shocked when our friends said these delights were purchased at their local Harris Teeter. Imagine that. 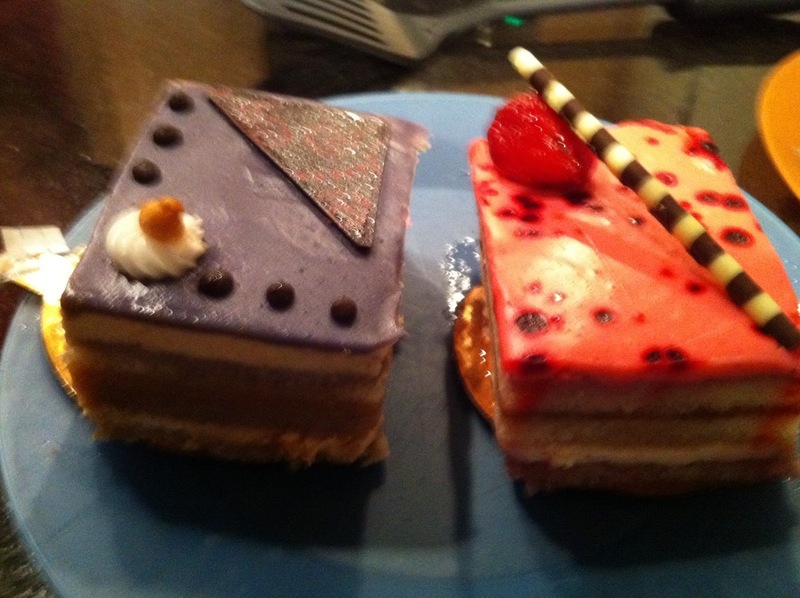 These cakes were both impressive and tasty, as evident in the pictures. So next time you're tasked with bringing dessert, don't worry, the bakery at your Harris Teeter is a great option. If you do not live near a Teeter, check out the huge selection of pretty desserts at Whole Foods. At only $3 a pop these are perfect treats for any gathering!